The Strippers helps dealers and their staff members shine. The Strippers is the little refinishing shop down the street. 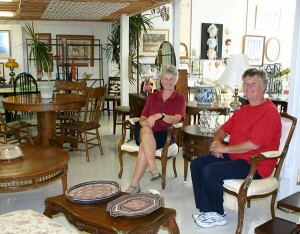 It’s also the modern Furniture Refinishing Centre that’s booming and giving jobs to all age groups. 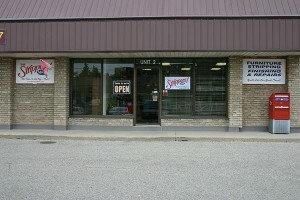 Big or small, The Strippers store in your town will be part of an Ontario group of Dealer-Owned stores that have built their reputation on quality repairs, excellent stripping and finishing, and good old fashioned service. At The Strippers it’s all about the people. We care about our customers, and make a point of giving back to the communities we serve. If you’ve ever considered starting up a small business later in your working life or when you retire, you’re in good company. “Since early 2001, the number of small enterprises run by older Canadians has risen by an impressive 35 per cent – by far the fastest growing segment in the small business sector.” (Small Business in Canada: Trends) Keith Davies, co-author of Avoid Retirement and Stay Alive says, “the entire notion of stopping, ceasing to exist, is now nonsense.” Engage in something that brings you joy along with financial reward, suggests Davies. He also says, “I defy you to name a truly rich person who has retired, ceased to exist. People who can afford to retire don’t”. For some, the reasons can be because of Company Layoff, or just few Job Opportunities in a career of interest. Maybe you just want to have more control over your life. Since 1982, The Strippers has been dedicated exclusively to helping furniture owners keep up with changing colour trends from Country look of Light Colours to the current trendy dark colours or a Painted Rubbed Look. While times and technology have changed, our customer’s needs for a reliable furniture repair and refinishing pro, has not changed. With 30 years of steady growth behind us, The Stripper Owners are still looking forward, onward and upward. All of our stores are 100% dealer owned. Our core products are Canadian made. We’re more than that, too. The Strippers gives every Dealer the advantage of tremendous buying power for products and services, a comprehensive resource network, of people and companies. We have a strong web page presence, advertising program to use and more, all without sacrificing your independence. Get the recognition you deserve with The Strippers. You get the kind of recognition in your community that no competitor can match – and it is not just from the local advertising, but our online presence that has been well established since 1998. We have kept up with the current social media trends, and have revamped our web site to be at the top page of search engines. We have professional videos, and relevant blogs. Digitally, the-strippers.com website is constantly being updated with new features and functionality. Customers can send emails with pictures of their furniture to get instant quotes. Head Office Supplies Training And Brand Development. The Strippers is committed to helping each Dealer build their business by helping to train and develop the skills of Owners and their staff. Whether it’s small repair projects or larger in home renovations, The Strippers equips you and your staff with the knowledge and tools necessary to help complete all your customers furniture and home improvement projects. Increased sales come from knowledgeable, well trained owners and staff. We provide a combination of hands-on training, videos, and discussions covering everything The owners and staff need to know about daily store operations. All aspects of Furniture Restoration are taught including, Stripping, Repairs, Staining, Colour Matching, Spraying finishing including paint spraying. The Strippers is committed to the environment and recycles all of its stripping products, as well as the containers, brushes and staining material. We lead the way in environmental initiatives in the refinishing business, with specialized equipment to filter the stripped paint and varnish back to a dry powder. Join The Strippers and get the expertise and support you desire to become one of Ontario’s Restoration Experts.